Ps. 118:24 This is the day which the LORD hath made; we will rejoice and be glad in it. How can we rejoice when the world is in such turmoil? How when there is so much sickness & hurt? This is not the only reason. Because He knows the end from the beginning & He has already provided the way out. He has already put things in motion for our deliverance. He provided His Son for deliverance before the foundation of the earth. Before He was even needed. This day is already done in the eyes of God. He has already brought us through what ever we are going through. Even when we make the wrong decisions, He knew that & has already provided a way of escape. THIS IS THE DAY - today, be in it.... The past is past & you can’t live the future. You can plan & prepare for the future, But that is today. The Lord has already made today. He knows what is going on today & a minute from now. Don’t you think He knows what you are going through & what you have been through? THIS IS THE DAY THE LORD HAS MADE!!! He has made it, done, it is finished. No more for Him to do this day, it is done. Then why pray, it is already done. He knows what you will do & what you would pray & He has already provided the answer. He has made... that is why the answer is on the way before you even pray it. OK then if it is already done, I don’t have to pray or do anything. Let’s not be stupid. If He has done it, He knew we would or would not pray. He knew if we were going to be rebellious or lazy. We must pray as though He has not finished it yet 7 believe like it is already done. Know it, it is finished. HE HAS PROVIDED. He had joy because He knew that enduring the Cross had a result that was eternal. That we needed the Cross, vs 3 so that you may not grow weary or exhausted, losing heart and relaxing and fainting in your minds. 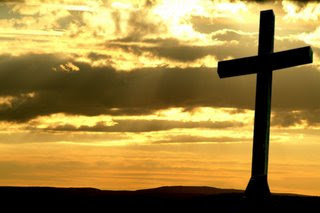 The Cross was to reconcile us with the Father. He paid the price & had Joy doing it. We have see the purpose of the Lord. James 5:11 You know how we call those blessed (happy) who were steadfast [who endured]. You have heard of the endurance of Job, and you have seen the Lord's [purpose and how He richly blessed him in the] end, inasmuch as the Lord is full of pity and compassion and tenderness and mercy. Rejoice! There that rejoice is again! How can we rejoice, because we know the end is already accomplished by God. Psalm 5:11-12 But let all those that put their trust in thee rejoice: let them ever shout for joy, because thou defendest them: let them also that love thy name be joyful in thee. In the beginning God made... This is the day the Lord has made I will rejoice and be glad in it!!!!! !